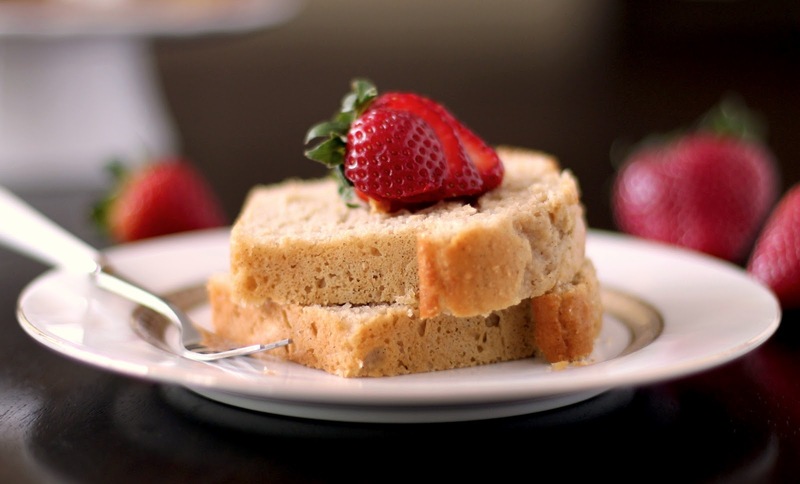 As a kid, I absolutely adored pound cake, dense, moist and buttery rich pound cake. I mean, c'mon, what's not to love?! But as I grew older, I found plenty of things to not love of my beloved pound cakes. For starters, the astronomical fat and calorie content! Despite that though, I still caved in at bakeries and the line at Starbucks for the perfectly displayed slices, knowing full well that I'd endure a sugar-rush and sugar-crash shortly after. I always knew pound cake had sugar in it, and yeah, they were a little fatty, but they were treats! It was only when I discovered the real nutrition facts that I stopped purchasing the cakes. 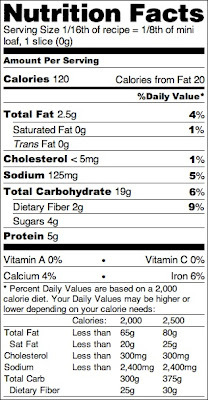 Since everyone has heard of Starbucks, I thought I would share the nutrition facts of their Iced Lemon Pound Cake. One slice has 490 calories, 23g of fat (13g saturated) and 46g of sugar. 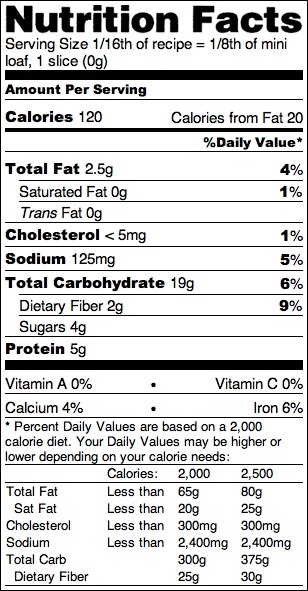 No fiber, and only a tiny speck of protein [source]. After that, I found it hard to love something so bad for me! ^^ See the vanilla beans? So I made my own pound cake, slightly adapted from this one. 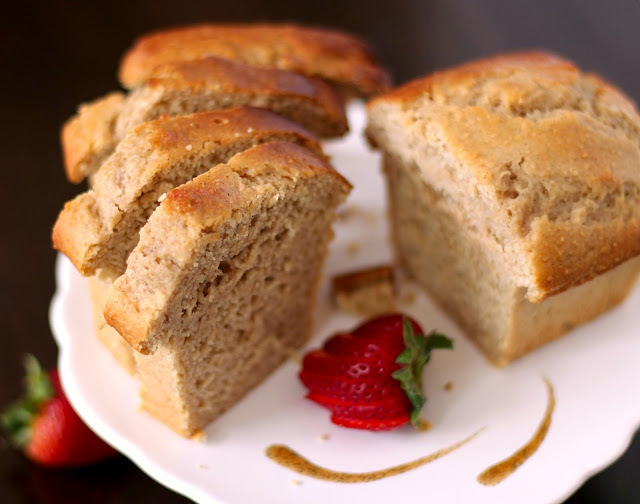 I removed the extracts, added in vanilla paste and changed up a few ingredients for the ultimate pound cake--moist, decadent, and spewing vanilla essence. 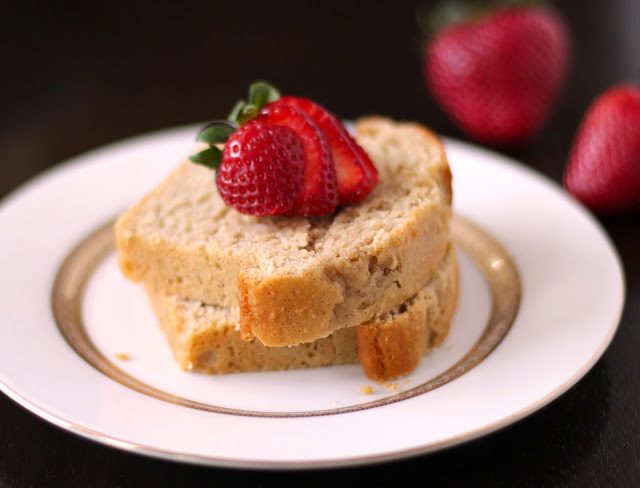 With a soft texture and tender crumb, this cake is absolutely perfect! Not unbearably sweet so that your teeth will ache later, but just enough to satisfy your cravings. 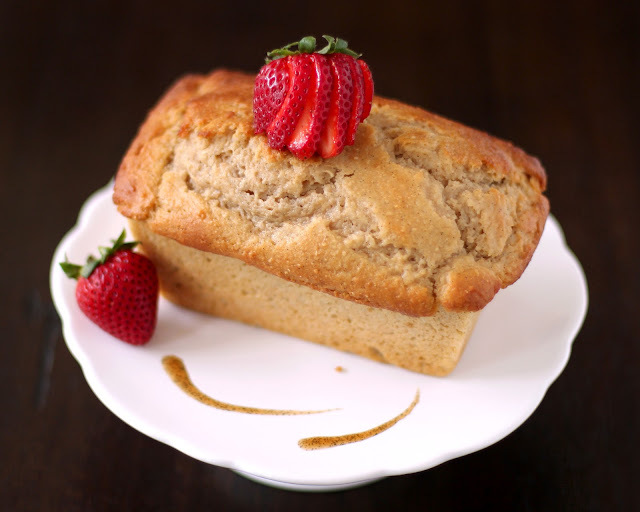 The focus of this cake is the warming, comforting vanilla flavor backed up with nutritional support ;) These aren't made with the typical "pound" of butter, "pound" of sugar, and "pound" of bleached, processed flour! 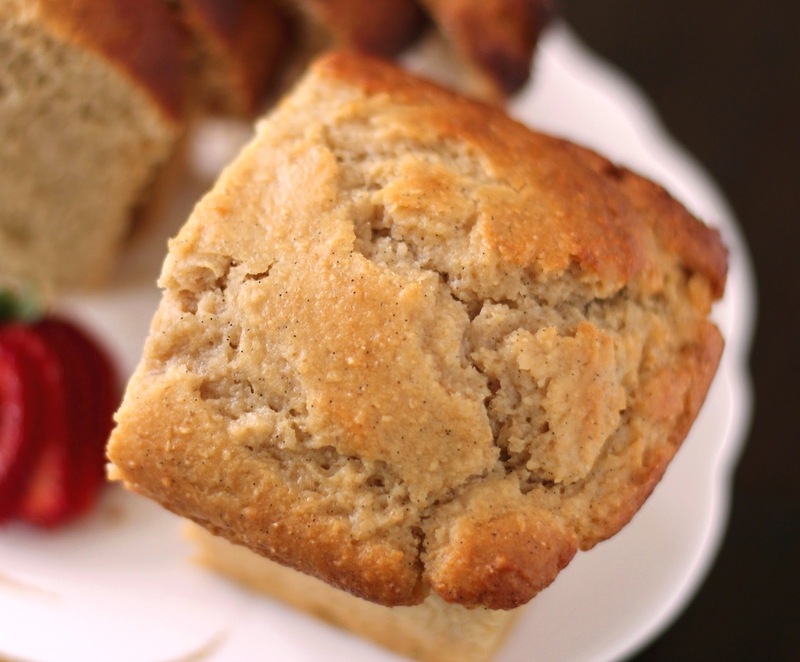 These are made with whole wheat pastry flour, a small amount of sugar, and a few protein sources to keep you fuller for longer. *If not making glaze, increase stevia extract to 3 teaspoons and vanilla paste to 3 tablespoons. Another topping option is this amaaazing white icing, just add 1 teaspoon of vanilla paste for more vanilla flavor! 1. Adjust oven rack to middle of the oven, and preheat to 325 degrees Fahrenheit. Spray two mini loaf pans with cooking spray and set aside. 2. In a large blender, add all the wet ingredients except the vanilla paste, stevia and butter extract. Puree until tofu is completely liquified. Pour into a large mixing bowl and stir in the vanilla paste, stevia, butter extract and vinegar. 3. In a medium bowl, whisk together the dry ingredients. 4. Slowly add the dry ingredients to the wet by gently folding with a rubber spatula. 5. Scoop batter into prepared loaf pans and flatten the surface with the spatula. Bake for 33 minutes at 325 degrees, then reduce temperature to 275 and bake for ~10 minutes. When surface of cake springs back when touched and surface has browned, remove from oven and let cool in the loaf pans for 30 minutes. 6. Take the cakes out of the pans, put on a plate, cover and refrigerate overnight (you can eat it fresh too, I just baked it at midnight and didn't want to eat the whole cake a slice of cake right before bed). Slice cake when completely cooled. 7. For the glaze, stir together the glaze ingredients in a small bowl and drizzle a bit over each slice before serving. 120 calories for a slice of pound cake?! 2.5g of fat for buttery moist decadence?! Um, feel free to take two (or even three) slices. 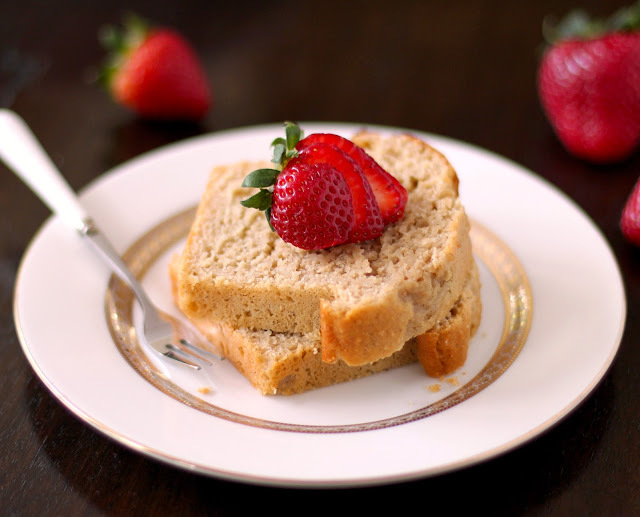 This pound cake is also a great breakfast option, just omit the glaze and top with a dollop of nonfat greek yogurt, some chopped strawberries and a drizzle of agave. Why have cereal when you can have cake? Modifying a pound cake to get it down to something more healthy with a minimal amount of fat and sugar can be rather difficult. Kudos to you for all the effort here. Your cake does look delicious-enough so all the fat and calories will not be missed. Happy Friday! Wow I can see how moist this is from the pictures! Yum! I just bought some vanilla paste. Now I know what to do with it! Thank you, Thank you! I'm with you - pound cake is so good, but so bad for you! I am FOR SURE going to make this soon... Question, though: I'm vegan, and need to sub something for the whey. What do you recommend? Or should I just omit it? I've read that sugar substitutes such as Splenda have about 100 calories/cup. Have you included that in your nutritional analysis? I use erythritol, which has the least calories in comparison to xylitol, splenda (which contains dextrose), and other sugar substitutes, at 12 calories per 1/4 cup. I included the 12 calories and 3g of carbohydrates to the nutritional analysis.